This seems like thoroughly appropriate signing credit. Tebow held a showcase that most teams sent scouts to last September. The Mets signed him the following week. However, Alderson said, “The guy we sent to see him in California did not exactly send back a glowing report. I knew immediately he would not want his name as the signing scout. Alderson shared what he called “an inside joke” while participating in a panel at Citi Field for the 47th annual SABR convention Friday. The 500-plus attendees roared with laughter. 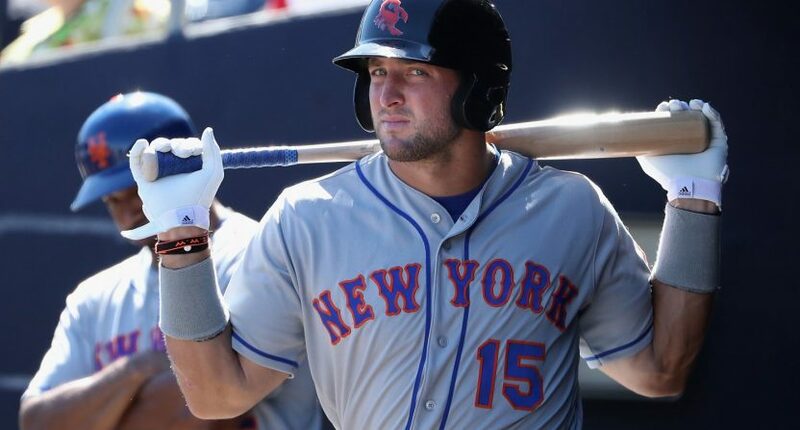 Well, it’s been pretty obvious that the Mets signed the soon-to-be-30-year-old Tebow for non-baseball reasons, and have since promoted him for non-baseball reasons (he was eighth on their A-ball team with a .222 batting average and posted a .651 OPS there), and that they’re reaping the rewards of doing so (selling plenty of Tebow jerseys, plus seeing massive attendance spikes for their minor-league teams). But it’s hilarious to hear Alderson admit it, and to admit that Tebow didn’t impress their scout at all at his showcase. It’s smart of that scout to keep his name from being associated with this PR stunt, too. Signing a 29-year-old former football player who didn’t look great in a workout, still has a broadcasting career (with ESPN and the SEC Network) to juggle, and hasn’t impressed at all in the minor leagues likely isn’t a line you want on your resume. The director of marketing probably is the guy most responsible for Tebow’s baseball “career” to this point, so it’s nice to see the Mets provide credit where credit is due.